Posted January 17, 2016 by Beau Bumpas & filed under Uncategorized. I love my clients. I go out of my way to build and nurture relationships to the best of my ability. When one of my clients achieves success from an executive portrait session, it’s the best part of my job. It’s what makes my job worthwhile. 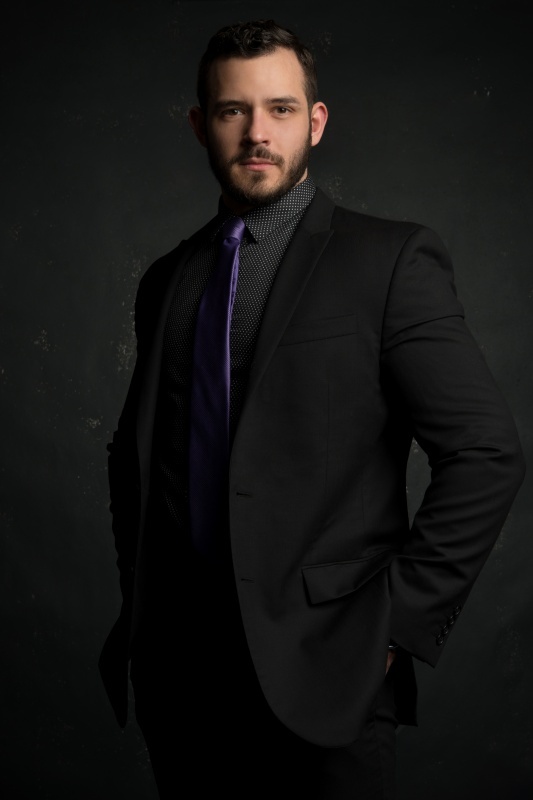 So this week, continuing my interview series, I sat down with Brandt Roessler and asked him about his recent career success as well as what’s next for the future lawyer. 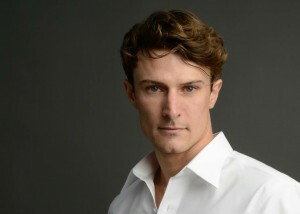 What prompted you to get new headshots? Why are headshots important in your industry? How have executive portraits helped you? For more on Brandt, visit Roessler2020. Posted January 10, 2016 by Beau Bumpas & filed under Uncategorized. As you’re well aware, I usually talk about the Kardashians, wardrobe choices and make up artists in my blogs. Pretty soft topics. But this week, there’s a certain convention in the Dallas area and a dear friend of mine that are on my mind. This weekend, the Dallas Safari Club held their annual convention at the Kay Bailey Hutchinson Center. The exhibits at this year’s DSC Convention ranged from photographic products to hunting gear. Now, normally I wouldn’t get involved or comment on this issue, but my dear friend and fine art photographer Joani White is passionate about the topic. When she recently stopped by the studio for a headshot session with yours truly, I spoke with her to get her perspective on the convention and it’s affect on the wildlife featured. What’s your perspective on the Dallas Safari Convention? What’s your experience with these animals as a wildlife and fine art photographer? Why take a stand on big game trophy hunters? Joani: “With my conservation and environmentalist perspectives, especially with the changing world environment and rising numbers of endangerment of animals, it hurts me on a deep, emotional level. I encourage and invite every reader to educate themselves on rising numbers of endangered animals – elephants, cheetahs, lions, the list goes on. The numbers speak for themselves. Even National Geographic is shedding light on the issue. Check out Joani’s interview with Ron Corning on polar bear endangerment. Attention, Paparazzi Parents: 4 Tips to Photographing Your Family! Posted January 3, 2016 by Beau Bumpas & filed under Uncategorized. Hello and happy new year! I love this time of year and all the joy I see in the people I encounter. The holidays have such an amazing effect on everyone in Dallas, and it’s especially apparent when looking on Facebook and Instragram. It’s a never-ending scroll full of family photos and Christmas cards. While I enjoy seeing your happy, shining faces, I feel I’d be doing you a disservice not to share a few tips of the trade. Because, let’s face it, no matter how cute your child is, no one looks cute with “derp” face on a Christmas card. When taking a family portrait, nothing is as paramount as lighting. Make sure your clan shows up before or at 4 pm during this time of year – that’s when the sun will hit the “sweet spot” and give you the amazing lighting you’re looking for. Contrary to popular belief (and logic), shooting your subjects with the sun behind them will create a beautiful, glowing effect that makes your portrait a work of art. This is a big one: check your settings! First and foremost, set your aperture appropriately. For sunny conditions, set it to f/16. For slightly overcast conditions, set it to f/11. For overcast situations, set it to f/8. For very overcast conditions, set it to f/5.6. Your next tip is your ISO level – make sure it’s higher in low-light situations and lower in bright-light situations. For “golden hour,” I’d suggest setting your ISO level lower since the sun is at it’s brightest. For those of you editing your photos in Adobe Lightroom, there are tons of free filters at your disposal. They’re called “presets” and will blow your mind. If you want to add even more to your photo or save a mediocre shot, throw a filter on it and salvage your work. Most importantly though, act like you like each other! Good luck shooting. Posted October 12, 2015 by Beau Bumpas & filed under Uncategorized. Everyone with a camera phone does it at least once a week: we take photos of ourselves. Many of us have come to rely on that front-facing camera and know what angle we look just right. We know how far to extend our arms, how to slouch our shoulders or pull them back and we all know what filter looks right. I hate to be the barer of bad news, but it doesn’t translate in portrait photography or executive portraits. Most of the poses you’re using for Instagram or Facebook selfies don’t work on a shoot. But here are a few tips on how to strike the perfect pose in your headshot. Take it easy, it’s just a photo. Breathe, listen to direction and don’t get too stiff! I cannot stress this enough. Keep. Your. Chin. Down. Not only will it actually slim your face, it will generally hide double-chins. Just make eye contact with the camera and make sure you’re facing the photographer unless otherwise directed. More times than not, photos come out odd for two reasons. The first is the lighting was off in some way. The second reason is the subject decided to go overboard with expressions or movement. Don’t get me wrong, it’s important to feel free in front of the camera, but always be open to suggestion. I promise, I’ll make sure your photos turn out flawless. Keep. Your. Chin. Down. Please! This is what’s commonly referred to as the “college girl pose” or “my little tea pot.” You know it – hand on hip, turned to the side, knees slightly bent, head tilted. This doesn’t go well on a DSLR, despite looking suitable on your Instagram feed in sparing doses. Please stand up straight and look at the photographer, you will be pleasantly surprised. Again, relax. We’re just taking photos. I’ll make sure you’re retouched in post-production. Just keep calm and smile. Is #InstaModel a real thing? Posted September 27, 2015 by Beau Bumpas & filed under Uncategorized. Warning: this is a very opinionated, industry-influenced blog on the rise of the #InstaModel. Everyone with a camera phone and an Instagram thinks they’re a model lately. I’ve never seen so many posts with the hashtags #model #instamodel #instahot – it’s almost offensive to a person like myself coming from a background in fashion photography. Men and women are constantly, almost obsessively posting pictures of themselves hoping that an agency like Wilhemina, Ford, or Campbell Models will come knocking on their door. As a professional photographer who’s shot thousands of models and now specializes in executive portraits, I’ve seen it all and can honestly say I’m baffled by the rise of the #InstaModel. I’ve had clients come by the studio to have shots submitted for major publications – which is generally routine – but then seeing how they decided to submit by looking at their Instagram struck me as odd. It’s already a hard-enough industry to break into, but add onto that a plethora of selfies on your social media accounts and it’s almost impossible. Spoiler Alert: Almost all of you aspiring models pitching yourselves on Instagram will probably not make it. Not because you’re not attractive, not because you’re not ambitious, but because you don’t fit the measurements of sample clothes and you’re not pursuing a career through the proper avenues. The fashion industry looks for their models based on amazing looks and specific sample sizes. The minimum requirements for female models is in the 5’9 to 6’ ft. range. The minimum male model requirements are in the 6’ to 6’3 ft. range. These vary slightly based on agency requirements from the client, but this is the standard. If you’re serious about pursuing a modeling career, I cannot stress how important it is to have an agent. By going out and seeking proper representation, you increase your likelihood of getting signed immensely. Make sure that you call around, get headshots done and find an agent that has your best interests at heart. Everyone’s on the internet. Everyone can find your posts and see your images on their feed. Make sure you’re posting things that won’t conflict with the image of an agency and make sure you’re taking care of yourself. Follow these three simple steps and you can go from posting #InstaModel pictures to getting signed with an agency. Posted August 20, 2015 by Beau Bumpas & filed under Uncategorized. More times than not, clients will come in to my studio and try to do their hair and make-up on their own. Sure, your normal ‘do looks great for your day-to-day activities but may not be a great choice for photos. The subtle details of your face get picked up in a big way on camera and everything is magnified. Thinking that it’ll be just like a selfie photo shoot, people come in and expect me to retouch any blemishes or imperfections. While that may work great with Instagram filters, it’s just not the same with a DSLR camera. The lens picks up everything. Everything. Any loose hairs, any missed spots, anything. Hair and make up artists are necessary. First of all, they’re skilled professionals who are educated on exactly how to perfect a look and style you. They’ll make your photos that much better and give you that extra “oomph” you need to further your professional endeavors. Second, they’re detail-oriented. While we get ready as fast as we can and say to ourselves in the mirror, “good enough,” they look over your hair and face and pinpoint which areas need more attention. They have the tools and the products to make you look flawless. Third, and perhaps most enticing, they’re not as expensive as one would think. They’re affordably priced for one of my one-hour photo shoots and come straight to the studio. 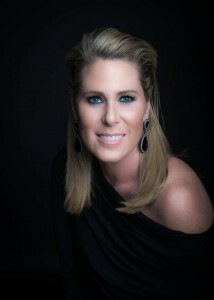 Contact me for rates on an executive portrait session and ask about the amazing hair and make up artists I work with. Posted August 2, 2015 by Beau Bumpas & filed under Uncategorized. This week, Khloe Kardashian (I’m her biggest fan, by the way) fought back against the swarms of angry people calling her out for retouching her recent Complex cover shoot. In the side-by-side photos, you can see how the shadows and lighting have been lightly edited. That’s the secret to a good retouching job – making sure that the subject’s main features aren’t distorted or too edited but still enhancing the focus of the image and cleaning up any unwanted blemishes or distractions. I’m the first to admit that I’m a huge fan of retouching. I believe, if someone’s going to spend good money on a photo shoot, that they should receive the best possible images. And I understand why there were so many people upset over the use of retouching – it portrays an image of perfection to girls and women viewing the images and may set unrealistic standards. But the fact of the matter is this – Khloe is a brand in and of herself. She is selling herself and her fitness, and if the photographer sees fit to lightly retouch her images, then I see no problem with that. I use the same techniques in my photos. My niche is executive portraits and commercial photos, and that’s the goal of my shoots – to “sell” an executive or a professional and help them further their business. But I always make sure to highlight their features instead of changing them all together. Now, this hasn’t always been the case. I’ve definitely made mistakes retouching images and gone “overboard,” but after years of experience and perfecting my craft, I’ve learned how to do it right. So, go ahead Khloe! You look amazing, retouched or not. Posted July 12, 2015 by Beau Bumpas & filed under Uncategorized. I’m the first to admit that I’ve made a lot of mistakes over my career. Everything from bringing the wrong equipment to a shoot to a poor retouching job on the images or even arriving late to a set, the list goes on. But I learned more from those experiences than from a book or from the advice anyone could have given me. I feel the same way about all the different roles I’ve had in the photography industry. From shooting fashion to catalogs to events, I’ve gotten the chance to see how the business works in so many different facets. But what I found over many years of experience was where I fit: executive portraits. Try everything you can: It took me many years and many jobs to find the role I’m in now. I dove into different types of photography and learned from amazing professionals that came before me. I was open to new experiences, even if they didn’t always work out. To be honest, I would have never thought I would love shooting executive portraits. But I do – it’s a way to help people further their image and their career. It helps create a people create a new image for their career. And had I not dipped my toes into many waters, I may not have found my way here. Ask questions: There will always be someone who has more experience than you. Find those people and pick their brain. Listen to what they say. Ask them as many questions as you can. There are no such thing as “bad” questions. Only unanswered ones. SEO: The best thing that I’ve invested in, besides my own equipment, was search engine optimization. It made me more accessible to potential clients and broadened my reach to the market. SEO can be an expensive endeavor, but it will pay for itself in no time. Professional networking events: Events held by BNI or other networking groups allowed me to meet other professionals and become better known in the market. It allowed me to reach more people and develop personal connections with clients. Posted July 5, 2015 by Beau Bumpas & filed under Uncategorized. With the explosion in social media and equipment affordability, everyone is becoming a photographer. Everyone, their mom, and in some cases even their dog (see @remythadon) have Instagrams. Everyone can purchase their own DSLR at affordable prices and in convenient locations. But what makes a photographer is the craft – the lighting, the scenery, the angles and composition. It’s the details that make a photo extraordinary. Backgrounds sound like simple details to photographers, but the perfect background is simple. Keep it basic, that way you don’t distract from your subject. Simple backdrops or solid colors seem to work best. It draws the eye directly to the person or subject you’re shooting. Also, be aware of your peripherals. Did you want to catch that garbage or messy closet in the background? Didn’t think so. Be sure to scan your area for any unwanted background clutter. Knowing when and how to use a flash is pivotal. Using a flash too close or too far away distorts the photo’s crisp details and may either be too light or too dark to see the subject. Make sure you’re no further than 5 feet away when using a flash. Lighting is everything. Lighting captures the details that make your photo. The right light can make an ordinary picture amazing. Be aware of your subject’s details and be aware of the time of day or equipment you’re using. Some people prefer using SoftBoxes or Beauty Dishes, so know how far and how high to position them according to your subject’s placement. Use reflectors if needed to make that dark spot pop. Use your angles! Using framing as a photograph technique is great and always makes subjects pop. Framing a subject by drawing attention to the subject can be done with different, out-of-focus elements or by blurring the background to lead the viewer’s eye directly to the subject. Be sure to play with the variables of the photo so you can decide whether it works in your photo or not. Simple, yet very important. A common mistake for photographers is a shaky hand or leaning too much when trying to capture the photo and losing a steady grip. Hold your camera firmly. Take your photo confidently. And, make sure your feet are firmly planted on the ground. No one likes a fallen photographer. Three words that mean everything to a photog: cool, calm, confident. Believe in what you’re shooting and your abilities. It’s your photo and your work of art. You’re in control. Take as much time as you need to create your masterpiece. Posted May 25, 2015 by Beau Bumpas & filed under Uncategorized. Time and time again, clients will come in for a shoot and do all their primping on their own. While they may look great in the mirror, what shows up on camera can be much different. That’s why I highly recommend hiring a professional who knows exactly how to style you for the lens. I know, this sounds like an obvious one but it’s surprising how many times this isn’t taken into consideration. Every feature, every hair and every detail is enhanced on camera. Always arrive to the shoot freshly shaven and ready to knock ‘em dead. Clothing options are key to a good executive shoot. I recommend bringing lots of choices, especially collared fitted shirts. For men, polo shirts are great for a casual look and button-downs photograph well for an executive. Women photograph well in fitted button-down shirts or dresses. But make sure you bring clothing options you feel confident wearing! A commonly overlooked detail is how rested you are on the day of your shoot. The camera catches everything, including how well rested you are. Even if your skin is flawless, little wrinkles show up when you haven’t gotten enough beauty sleep. So, get some solid shut-eye before your shoot and you’ll photograph like a star. Like I was saying, the camera catches everything. It even picks up on your mood, no matter how hard you’re smiling. Rest assured that if you feel cool, calm and collected, your photos will reflect that. And for anything else, don’t worry – I can retouch. Shooting executives and busy professionals can be stressful. They’re either planning a meeting or running out the door to an appointment. I suggest to plan accordingly for your shoot. An appointment with me usually takes up to an hour, and I guarantee you’ll shoot leaps and bounds better if you’re present than if you’re already one foot out the door. Being fresh-faced and rested is pivotal to your photos. I’m sure that if you had a few too many the night before, you won’t be excited to pose for an hour the next day. Be sure to get some good rest, stay hydrated and cut back before your session. You’ll be pleasantly surprised. While having a drink to loosen you up on the set of a shoot might sound like a great idea, it doesn’t turn out too well. The camera picks up even the slightest redness in a person’s eyes and the flushing of their skin. It’s best to stick with water instead of a glass of red. Going back to the tip above about hiring a hair and make-up artist: less is more. When they’re getting you ready for your shoot, they’ll know exactly how much to do and when to stop. This rule is especially true for your clothing. It’s best to stick with simple, basic options so the attention is drawn to your face rather than the print on your clothes. Think basic, think plain. Let your features be the focal point. Let the photographer lead you during the shoot. Many times, clients will try to position themselves like they would for a picture on Instagram, but those poses don’t translate into a headshot or executive portrait. Take direction and have fun! It’s just a picture, after all. End note: Don’t settle on your choice of photographer. Give me a call and make an appointment today.